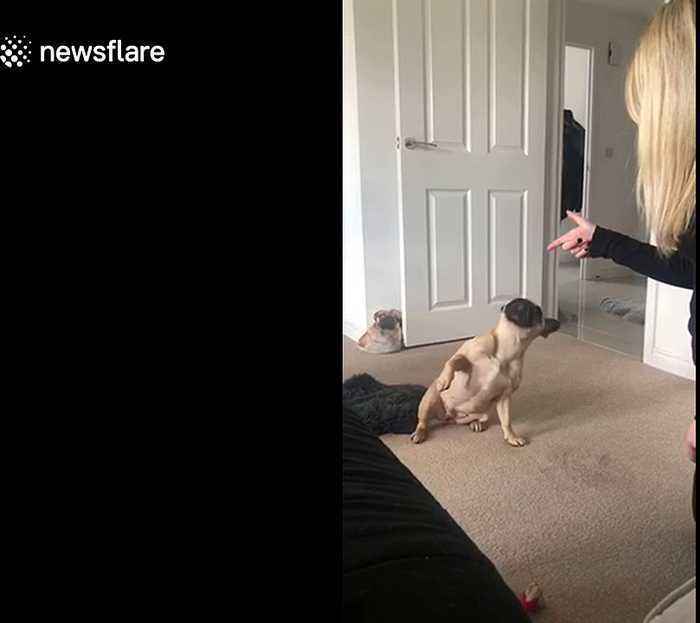 Filmed on April 10 at her owner's home in London, the clip shows Olive pretending to get shot when her owner shouts "Surrender!". Once she’s been ‘shot’ by Millie, Olive rolls over and plays dead. “She’s such a clever dog!” Millie told Newsflare.